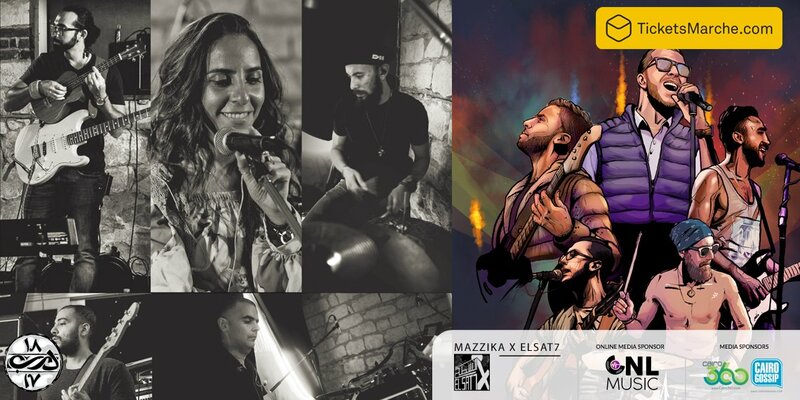 “Mazzika x El Sat7”, a monthly musical night held on our Roof. Our special musical nights will present a unique experience embodied in the type of music performed, the ambiance and the limited number of seats. Janan is an Egyptian Pop/Rock band formed by Singer/Songwriter Noha Fekry in 2016, who was later joined by Guitarist Tarek Abdelkawi, as well as Keys player Ahmed Kamar, Bassist Yamen El-Gammal, and drummer Mohamed Alfakharany. The band plays original music composed by Noha Fekry, and arranged by Janan, mixing dramatic lyrics and modern pop-rock sounds. Tackling the current social and l topics relevant to Egyptian youth in a humorous, sometimes caustic manner backed by funky Arabic infused grooves is what Karakeeb is all about. Their performances are entertaining, engaging and leave a strong impression on all audiences whether or not they understand Arabic.